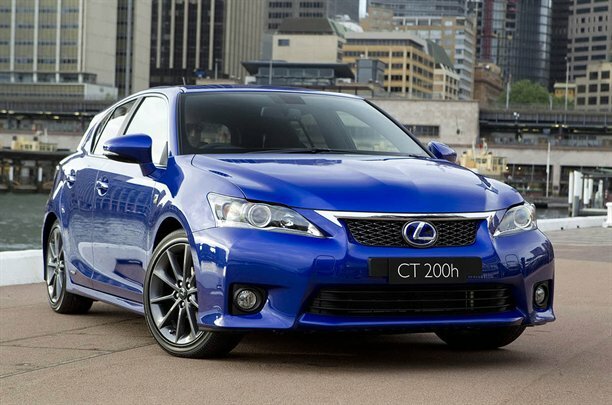 Lexus has used the Australian Motor Show to launch an F-Sport package for its new CT200h hybrid. The revised bodykit is intended to make the hatchback appear more sporting without the manufacturer going to the trouble of actually making the car go faster. So while there is nothing added, tweaked or increased in the engine bay, the car does get a bigger set of bumpers, some graphite-finished alloys and an exclusive Flame Blue paint job on top. 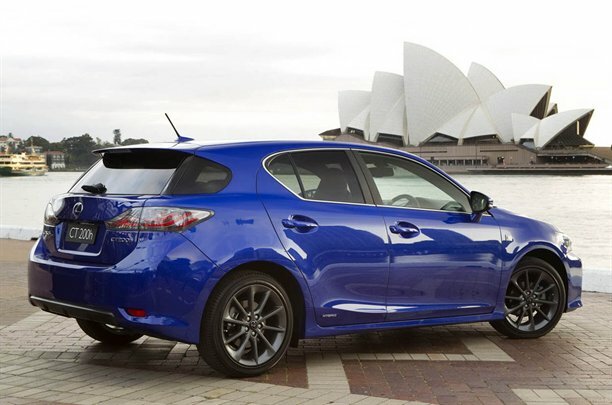 While the F-Sport might not have improved on the modest 0-60mph time of 10.3 seconds, Lexus insists the package has added a more dynamic edge to the CT200h with the use of lateral dampers to increase torsional rigidity and improve ride comfort. If that isn't quite appealing enough, the interior alterations include a unique trim level, new instrumentation panel, privacy glass and F-Sport steering wheel. Lexus's Australian customers will be able to order the car as a specific variant from next year, but UK buyers are more likely to have to spec the F-Sport's features as upgradable options when they come to purchase a new CT200h.